While living in Las Vegas, we became great friends with a couple, Jeremy and Laura, that lived just down the street from us. We had SO much in common and spent much time together. We even vacationed together! Jeremy was in the Air Force, which required them to move regularly. Laura lived by the motto, "Bloom where you are planted," in order to make the most of each place they lived. 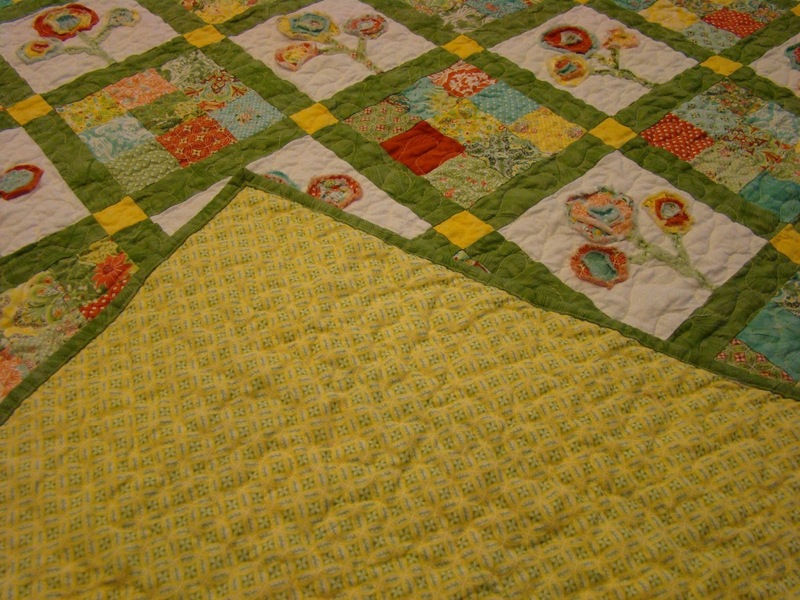 When it came time for them to leave Las Vegas, I knew a quilt would be the perfect gift! I first found the pattern, "Lissy's Flowers" by Mary's Cottage Quilts while participating in the Southern Nevada quilt shop hop in November 2011. 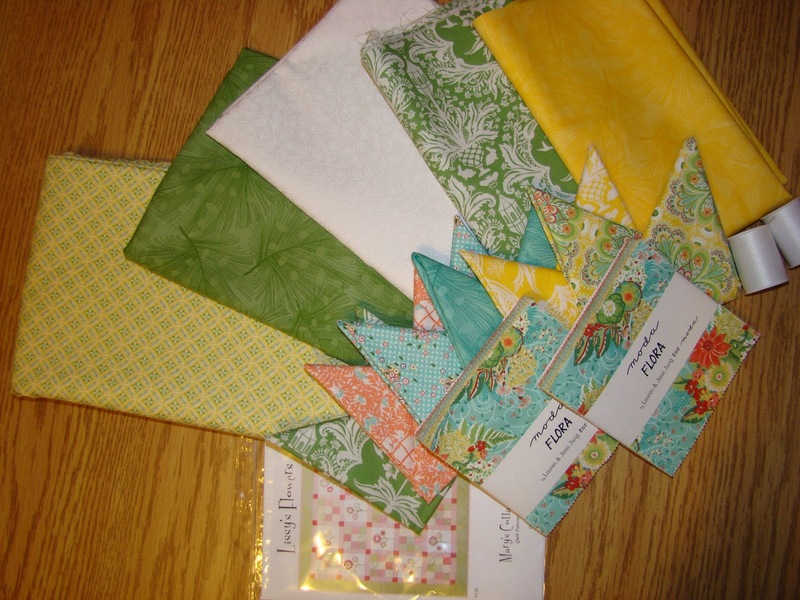 I then found the "perfect" fabric at the Fabric Boutique quilt shop in Las Vegas (store closed around 2014). The fabric was "Flora" by Lauren and Jessi Jung for Moda. I did not have the pattern with me when purchasing the fabric, so I guessed at what I would need. 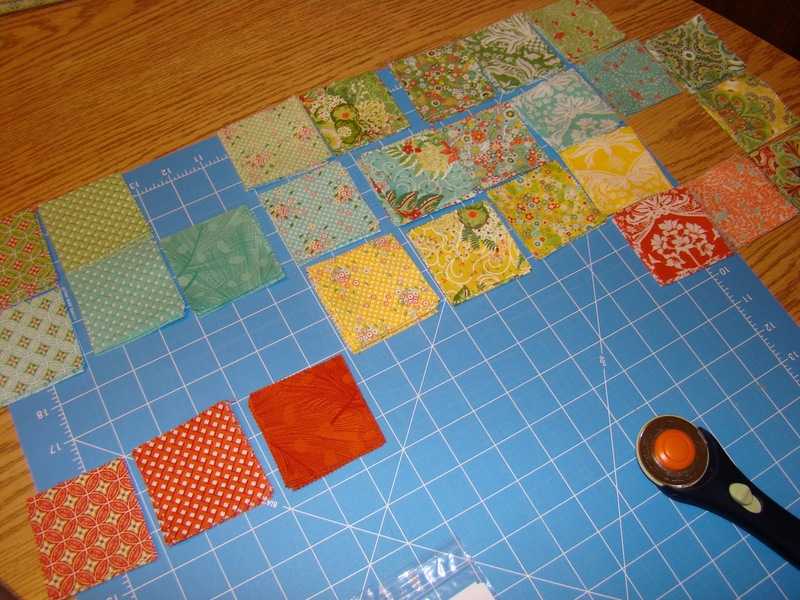 After getting home, I realized the charm packs I purchased would not result in the cuts needed for the pattern, so I decided to just use the pattern as a guide, but figure my own math. Once well into the quilt, I ran out of charm squares. The local quilt shops were out, so I had to order another charm pack online! 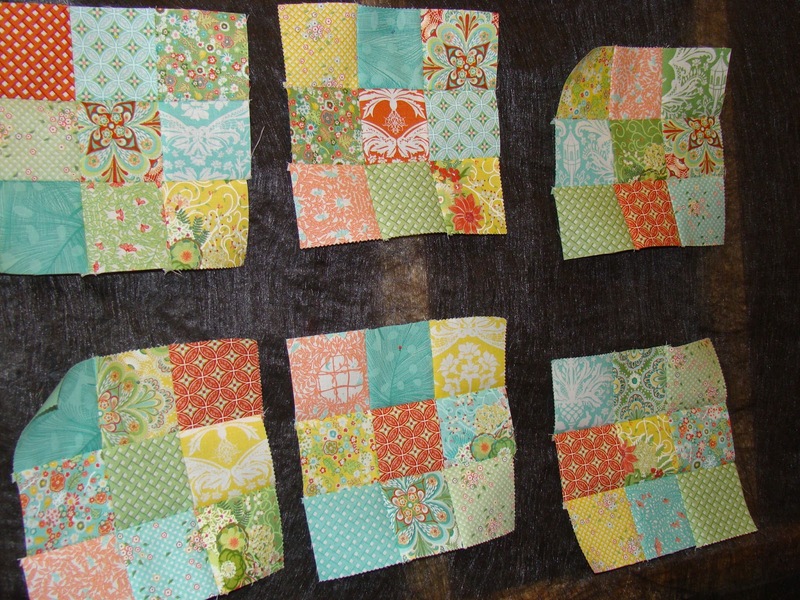 I started working on the quilt in January 2012 and finished piecing it on February 29. 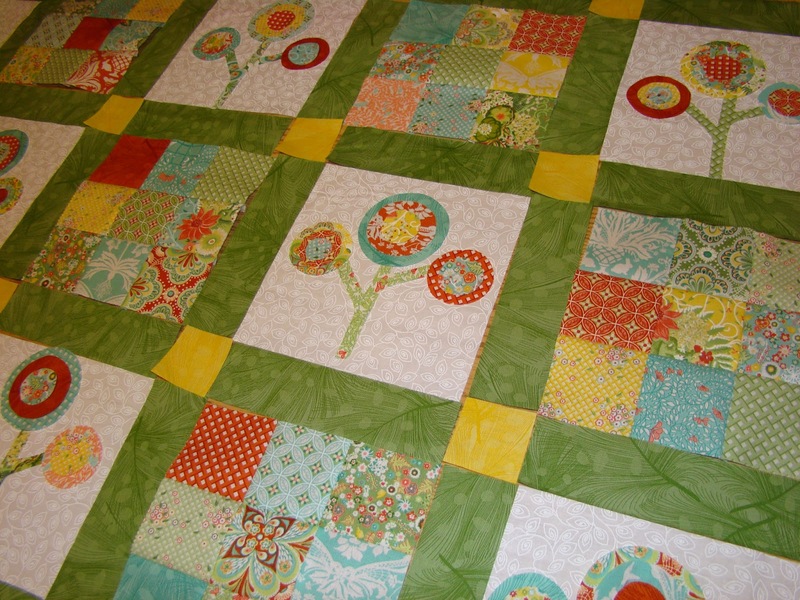 I decided I wanted the quilt to be quilted "professionally" on a longarm machine. 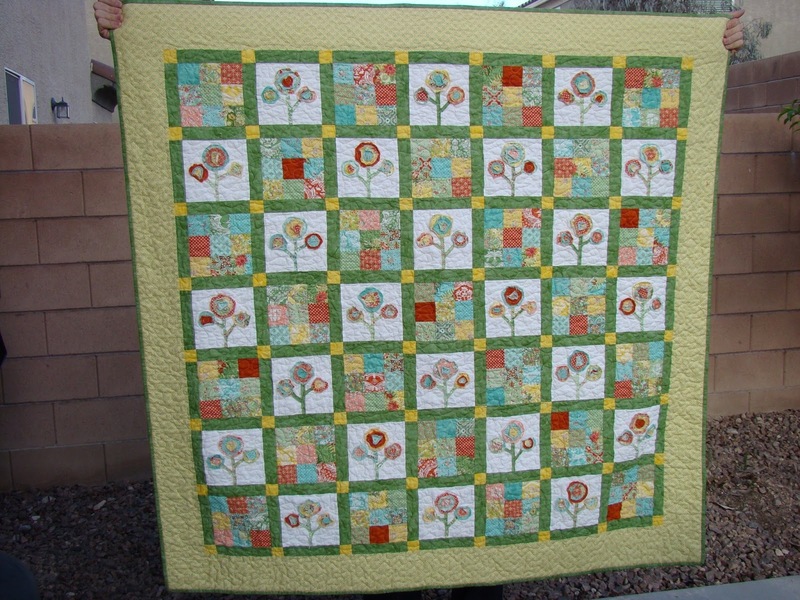 My mom had a woman local to her that often quilted my mom's quilts, so I mailed the quilt top and backing fabric to my mom. She had it quilted by Belinda Ochs with an all-over stipple design with a light yellow thread, then mailed it back to me. 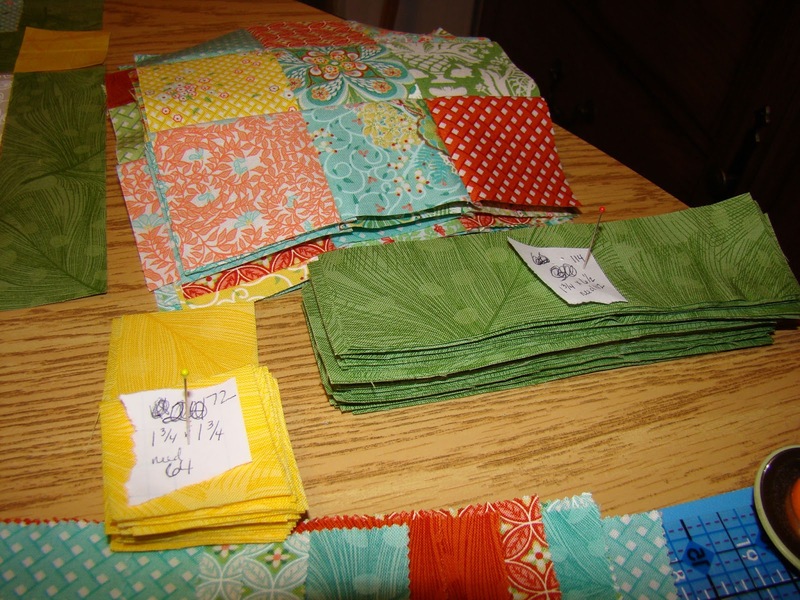 The cost of the quilting was $33.26. Several of the raw fabric edges had gotten stitched down as a result of the quilting, but overall, it was so much nicer than anything I could do! 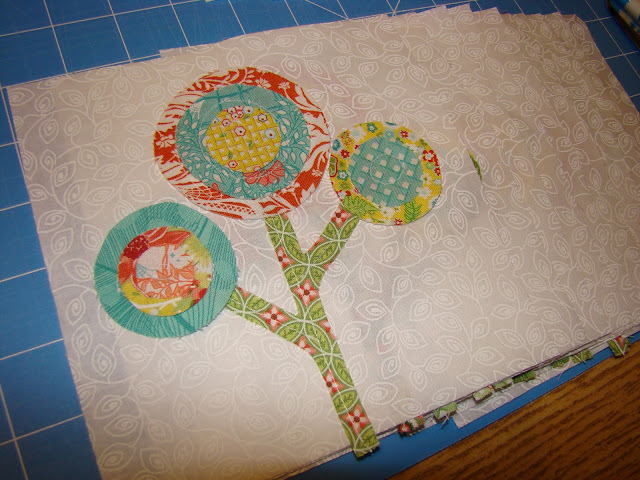 I put the binding on the quilt in April, but held onto the quilt until our final dinner together in May. 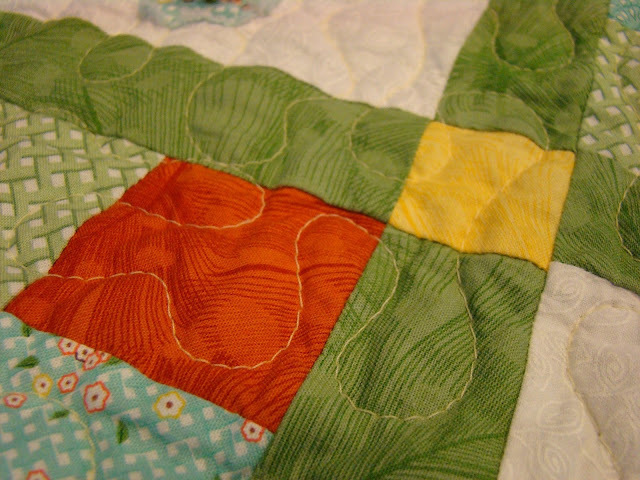 After it was finished, I washed the quilt in cold water with 1 cup of vinegar. I hoped this would set the colors so they wouldn't bleed. I dried it in the dryer to fray the raw edges of the flowers. For our goodbye dinner, we ate at TGI Fridays (the same place that was our first dinner together!) 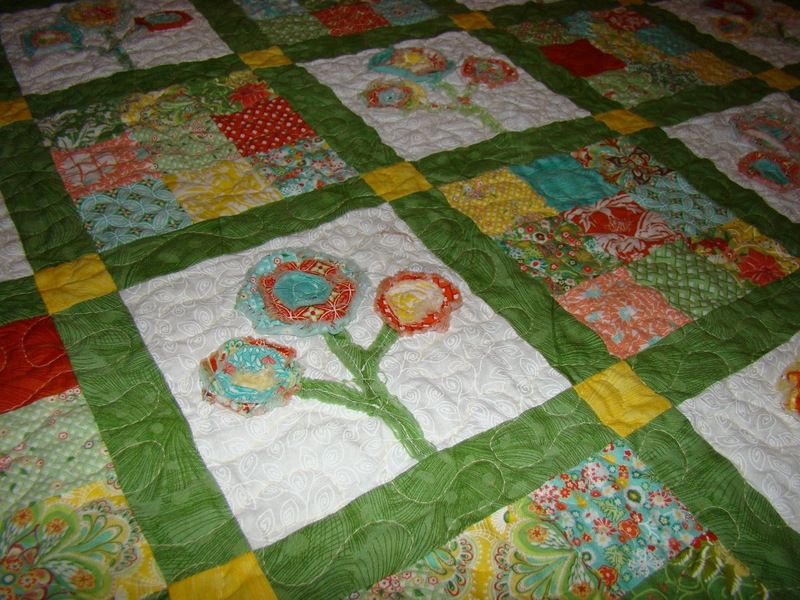 and I gave her the quilt as a going away present. It was a complete secret up until that moment! blooming where You planted me. 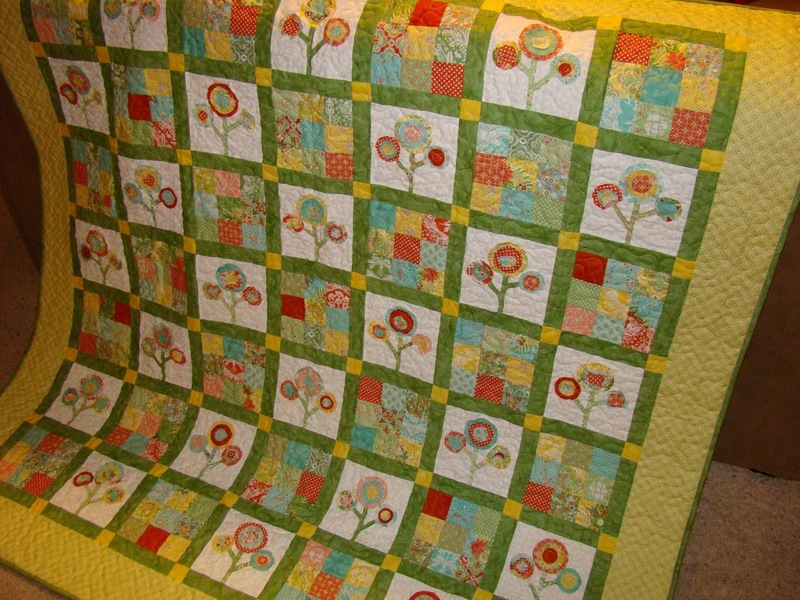 After gifting the quilt, I emailed pictures to the fabric designers and the quilt was featured on their blog on September 18, 2012! I treasure the fabric scraps I have left from this project. They put a smile on my face every time I see them as I remember all the great times we had with our friends!